I’ve been fortunate in my lifetime to have been able to create music and the collection of CD’s, my discography, will hopefully sustain and preserve the record of my creative musical efforts. This discography page lists each of my CD’s and some brief information about each. Links are provided so that you can take an in depth look at them too. I hope you enjoy your adventure into my music. Thanks! 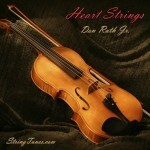 Heart Strings – is a collection of twelve instrumental music compositions for stringed instruments that weaves together the romantic and gentle melodies of multiple stringed instruments creating a soothing and unique sound. These lush arrangements make for a pleasing ambiance. Music sure to soothe your soul! 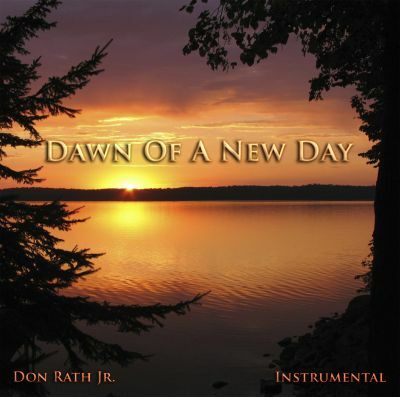 Dawn of a New Day – From the lighthearted and upbeat Time Marches On to Waiting By The River, a relaxed and laid back arrangement, to the motivational and driven Dawn of a New Day this CD offers its listeners a variety of musical experiences. 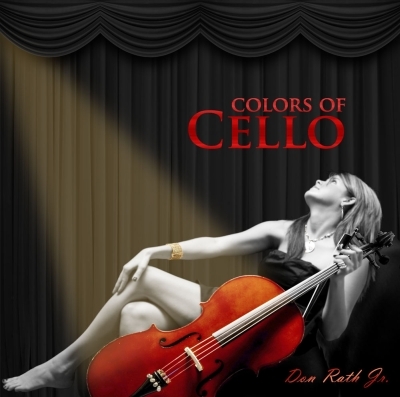 We hope you enjoy your listening to the wonderful instrumental songs on this album. Colors of Cello – Solo, duet and accompanied cello pieces are included on this CD offering a variety of “colors” of the sounds available from this instrument. Relaxing and pleasing melodies and excellent arrangements provide yet another wonderful theme based collection of instrumental music. Night Wind – was my very first effort at making a CD. It was performed, recorded and produced in between surgeries on my left hand. 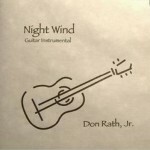 Night Wind, a guitar instrumental CD, was never released for general distribution or listed anywhere as “for sale” during 1997 or in any subsequent year since. I am planning on redoing this album. It is my hope that this discography record is not complete. I have many more compositions, enough for ten more CD’s at this time. Hopefully, this discography listing will be updated moving forward to include my other musical works both those that are now complete and unrecorded as well as those pieces yet to be written.